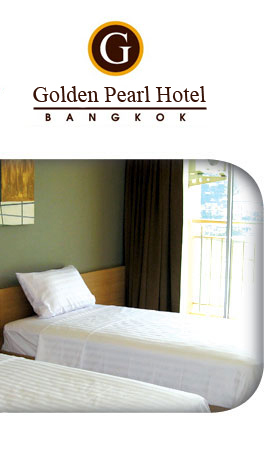 Golden Pearl's fourteen studios are extremely convenient for single travelers and couples visiting Bangkok for business purposes or on holiday. These units offer comfort and the space available has been optimized through efficient planning. Quality bedding and linen guarantee good rejuvenating sleep, and the modern amenities provide guests with comfort and relaxation. Satellite TV is available with the brand new 32' LCD television sets. The personal micro component system includes many useful features, such as multi-disc playback, FM tuner, and USB host. 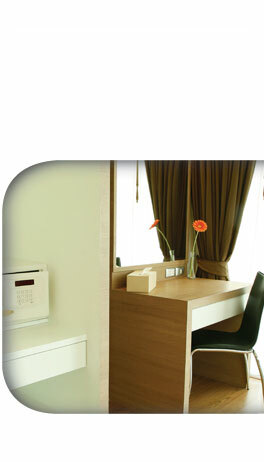 Business travelers will enjoy the work station with its cozy chair. All studios have a fully equipped kitchette and a balcony where one can spend some peaceful time in the morning or in the evening. 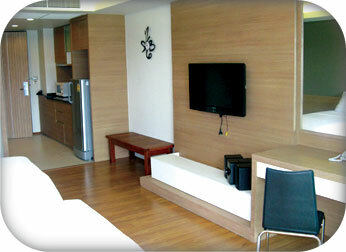 The studio, with its attractive rental fee, will make your stay in the City of Angels both pleasurable and economical.